Easily one of my favourite tools of all time. A real boys toy if ever there was one! 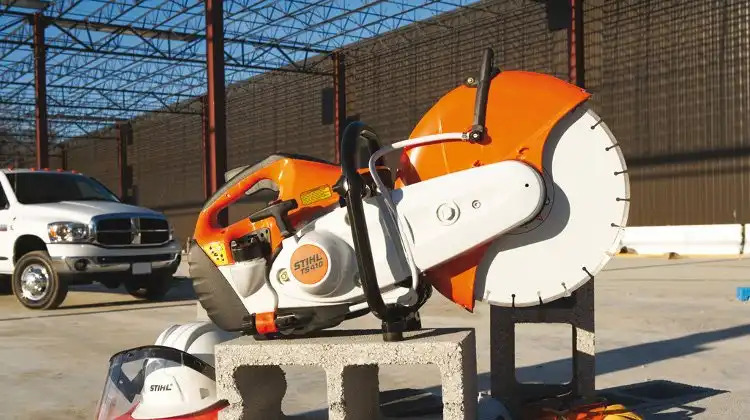 The gasoline powered cut off saw is an absolute must for anyone involved in general construction, landscaping or home improvement work. It’s a simple enough tool and is really effective in good hands. A small air-cooled engine uses a belt drive to turn a shaft mounted abrasive cutting blade. Blades are available in various compositions to allow operators to cut asphalt, concrete, stone, steel and ductile metals. Like all power tools it does require careful handling to remain safe in use. Appropriate safety equipment must always be used and the machine must always be well maintained.